How To Make Friends - You'll Be Surprised at How Easy It Is! You'll Be Surprised at How Easy It Is! How to make friends really hasn't changed. All of us can remember, a mother, grandmother or a teacher saying, "In order to have a friend, you have to.... BE A FRIEND!" For some women, how to make friends may not be difficult. You may not even be interested in how to make new friends since you already have a lot of friendships. However, you may have just made a major, cross-country move. Thirteen years ago my husband, Tom, and I moved from Wisconsin to Huntsville, Alabama. We love it here, but at first, it was like moving to a foreign country! Moving to the South brought new friends into my life. Pictured here is Sandra and Cookie, two Southern Belles. They extended the hand of friendship to me and I have enjoyed them so much! They are the real thing --I never have to weigh my words with them! You would LOVE listening to their words 'cause they speak Real Southern Y'all. And I didn't know anyone, except Tom's new boss and his wife - - who were very good friends to us. So I do remember how difficult and how long it takes to make new women friends when you are 50+. But it is worth every bit of effort. Here is a friendship quote on how to make friends: I call it The IN Way! After all, you have to let people into your life. And the "N" stands for Need. Let's start at the end: NEED. We do need friends! Friends provide a deep and personal value to our lives. They affirm and validate our actions. They give us a purpose and reason for fun, laughing, easing our hurts, listening, encouraging, spending time together. sharing meals, sharing life itself. Our women friends are indispensible! Let's go back to the "I". First of all, there is INTRODUCE. When you are with a group, let's say at church or perhaps you have joined a community organization, don't be afraid to introduce yourself. I have fond memories of joining The Garden Club in my new Southern community, even though I had nothing at my house but silk flowers --even outside! Here is your first make a friend how-to: Walk up to a person you do not know, smile, and say, " Hi. I don't think I've had the pleasure of meeting you. I'm ____________." It's simple, but it provides the results you are looking for. They will answer you, and you are on your way. Remember to smile--that's the key. INITATE is step number two. If your introduction went well, initiate a conversation that will allow you to get to know the person you are talking to. Both as a mother and teacher, I used to say, "A conversation is like tossing a ball back and forth between you and your new friend." You ask a question, "Have you belonged to this club for a long time?" That tosses the ball to the other person. They answer, and toss the ball back to you. "What kind of activities does this service club get involved in? How do they make the money for their projects?" You've tossed the ball to the other person. That's how a conversation works. INVITE is step number three in your how-to make friends. If your introduction went well, and you enjoyed the person you just met, make a suggestion to meet again. What to say in your third step: "I've got a gift certificate to Starbucks. Do you have time to get a cup of coffee together?" Or, "I'm going to this new Bible Study tomorrow, would you like to join me?" Or perhaps YOU will get the invitation, If you found this new acquaintance to be a pleasant person -- you have just completed, "HOW TO MAKE A NEW FRIEND." INTEREST is the most important factor in making a new friend. By that I mean, is this an interesting person? Did you enjoy the conversation? Did you find the person pleasant and enjoyable? Great! But even, more important, were YOU interesting? Were YOU listening to what the person was saying? Were YOU providing interesting information to your new friend? In order to make new friends and perhaps a long-lasting friendship, you need to be an interesting person and a person interested in them. It doesn't happen with everyone you meet. But when it does happen, make the effort to make a new friend. It may just be one of the biggest blessings of your life.....you'll have a Something Sister....and....if you work at it, it will bring you extra joy every day! 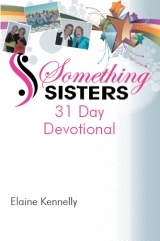 This thirty-one-day devotional book is written for you and your Best Friends to be renewed in your friendship with Jesus. Each day provides a place for you to personalize this with your Best Friend's name. It is a unique and memorable friendship gift. It also is great to keep you close to God! Knowing God better and trusting Him more will allow a new level of living above your everyday feelings. Feelings are always in flux. They change with the ebb and flow of our day, and often cause us to make decisions that are not in keeping with our faith in God. Living above our circumstances is a gift in which God allows our faith to triumph over times of confusion, grief, fear and spiritual weakness. This book provides life-victory through our faith! 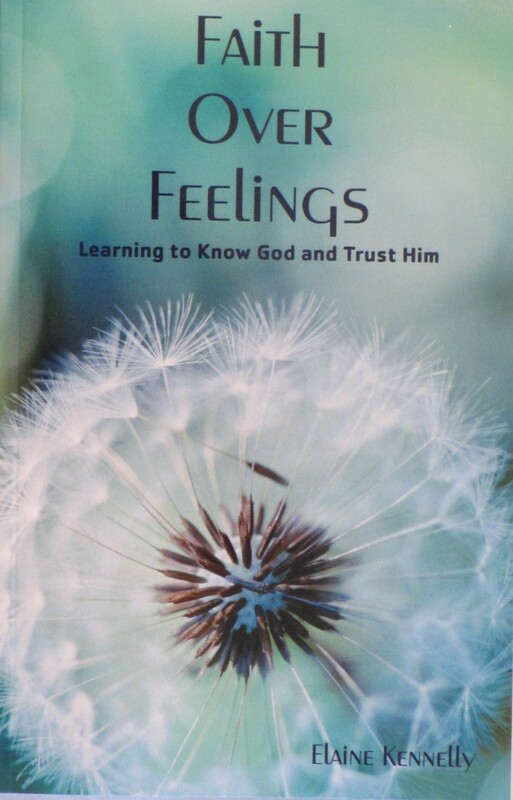 Over 500 Bible verses and 50 prayers in this easy-to-read devotional book! On the Path of Life, Every Woman Needs a Something Sister! Copyright by Elaine Kennelly 2012. All Rights Reserved.